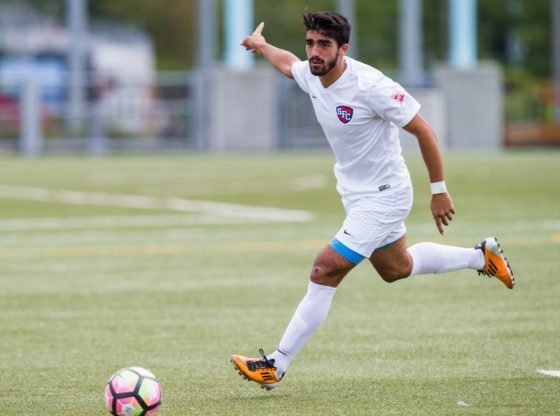 Former St. Francis Soccer star (class of 2018) Dominick Falanga has signed with the New York Cosmos for the 2019 NPSL season. Falanga graduated from St. Francis College in the spring of 2018 and graduated with a degree in health studies. Prior to signing with the Cosmos, Dominick had played for the Brooklyn Italians shortly after graduating last spring. Throughout his four-year career at SFC, Falanga appeared in 77 games while starting in 63 of them. He also tallied 41 points which included 14 goals and 13 assists. Dominick had a outstanding senior season when his name was placed on a couple of lists at the end of the regular season. These lists included the All-NEC First Team and NSCAA All-Northeast Region First Team. Even as a junior in 2016, Falanga had the opportunity to put himself on the All-NEC First Team along with the NSCAA All-Northeast Region Second Team. By the time he finished his senior year, he was also named St. Francis Brooklyn NEC Student-Athlete of the Year (2017). Falanga also had a couple of memorable moments and accolades as a Terrier in his senior year. He scored two game winning goals that season and became the quickest player to record a hat trick in program history as he tallied three goals in under six minutes in a game against Robert Morris on October 20, 2017. The New York Cosmos head coach, Carlos Mendes, had a few words to say about the three time NEC Champion (2014, 2016, & 2017) and the Brooklyn native, Dominick Falanga. On April 27th, the Cosmos will pay their first spring game of the 2019 NPSL season against New York Athletic Club at home (Mitchel Athletic Complex) with the tip-off being at 7:00 pm.